The National Golf Day would like to thank everyone who took part in this momentous event. It was an overwhelming success and we are excited for 2019 already. We are busy capturing all the necessary information needed to compile the certificates and we will send the necessary information out in due course. Regardless of what you shot or where you played, you were all part of a day just for golfers. 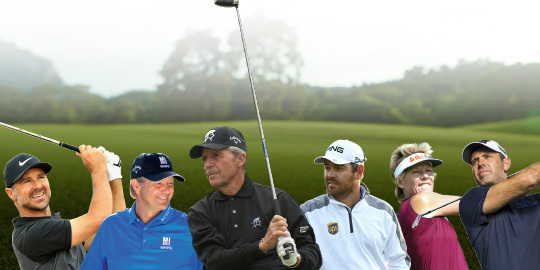 We would like to thank the 6 major winners for taking part and sharing their scores. Well done to every single one of you. Everybody's welcome. Best rates for the year on this day. Challenge your heroes! They say every dog has its day, so why don't golfers? On the 3rd of September golfers will get their time in the sun. The National Golf Day is a celebration of all things golf and a chance for all of us to challenge South Africa's 6 Major winners in a live scoring event. 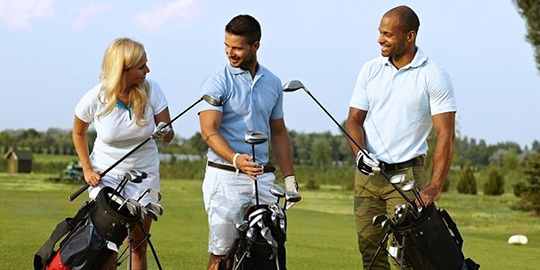 Golf is a sport unique to any other and that is part of the reason it is so popular. It's a game with friends, against yourself. It is a game you can play when you are 4 years old and it is a game you can still compete in at 84 years old. We are celebrating all things golf with the National Golf Day and if you'd like to be part of this incredible national event, register today. Follow our quick and easy guide to understand how it all works and what you need to do in order to get the most from the National Golf Day. It's fast and simple to register so don't hesitate! If you'd like to find out more about the National Golf Day, how it works and how you can participate as a player, as a golf course or as a teaching Pro we have all the information you need right here. To make the National Golf Day a nationwide success, we have partnered with most of South Africa's top courses, to give you the best rates on 3 September 2018 which is a day dedicated to golfers. 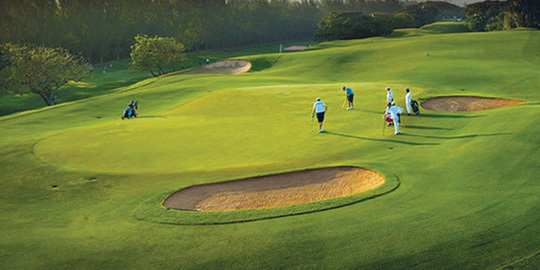 To find out where you can play and the great rate you'll be paying visit our list of participating courses. Need some help getting off work? 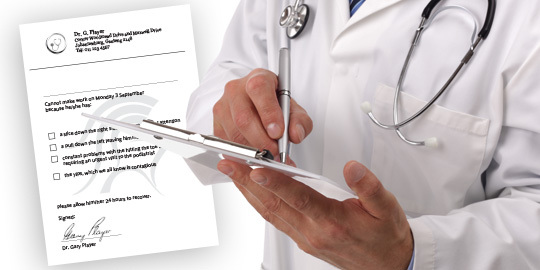 Want a 'sick note' from Dr Gary Player to file with HR. Once again we're here to help, simply download and print our 'sick note', fill in our details and then choose the most appropriate ailment. We won't guarantee that it will work, but it's worth a try! The bragging rights, or the official certificate, which shows whether you came home victorious or went down fighting! 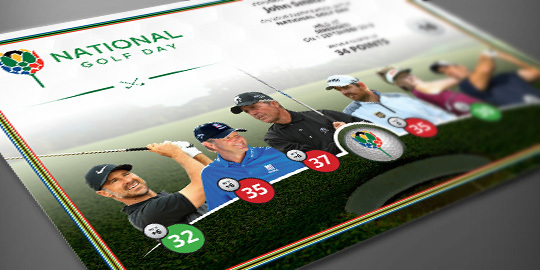 All golfers registered to play in the National Golf Day will receive a personalised certificate capturing the day, the scores and your result against all 6 Major winners.